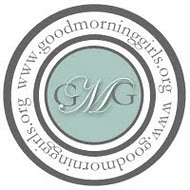 Good Morning on this final day of our GMG Ephesians book study! It’s been a blessed journey! Today we close with Paul’s detailed request for prayer in Ephesians 6: 19-24. I see 7 requests on his prayer list that progressively become more specific. May this be our prayer, as well. 1- I pray that God will give me *utterance; that He will give me a voice, an opportunity to speak. 2- I pray that I will open my mouth *boldly. 3- I pray that I will be a witness and promote the Gospel of truth. 4- I pray that I will be a witness wherever I am speaking assuredly just as the Lord would have me speak. 5- I pray that I will be transparent and accountable to the family of God. 6- I pray that I, with my family or any other team I might minister alongside, will be a comfort and an encouragement to the family of God, our brothers and sisters in Christ. 7- I pray that I will be a blessing, bringing to the brethren who sincerely love Jesus…peace, God’s faithful love, and grace. WOMEN GROWING IN GRACE "to your door"